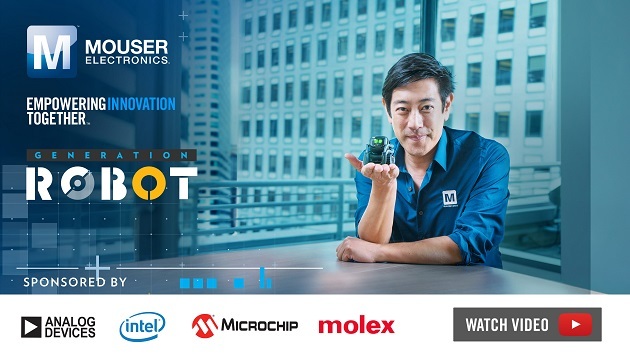 Mouser Electronics Inc., the authorized global distributor with the newest semiconductors and electronic components, and celebrity engineer Grant Imahara, released the final video episode in the Generation Robot series, part of Mouser’s award-winning Empowering Innovation Together program. In the newest video, Imahara travels to San Francisco to visit with Dr. Mark Palatucci, co-founder of Anki, creators of revolutionary home robot Vector. Unlike stationary voice-controlled assistants, the fully autonomous, cloud-connected, and always-on Vector incorporates the latest in facial recognition software and artificial intelligence (AI) technology to learn users’ habits and mannerisms, becoming a robot companion. 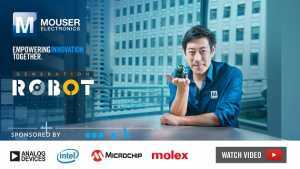 The Generation Robot series is sponsored by Mouser’s valued suppliers Analog Devices, Intel, Microchip Technology and Molex. The Generation Robot series has explored how robots work in manufacturing applications, service industries, and places too dangerous or remote for humans to go, robots working for humans. In the new video, Imahara and Palatucci discuss how robots like Vector interact with humans, integrating both IQ and emotional intelligence to bring personality to the consumer robot world. “In this amazing series, we’ve seen how we are truly in ‘Generation Robot,’ where we live and work right beside robots every day. But the bigger question is what the future really holds as they become smarter, independent thinkers on their own, we’ll just have to wait and see,” added Imahara.